The original aim of the Michelin Guide, which commenced in 1990, was to provide French motorists with lodging while on their travels. Over time, this transformed into a star-rating system for restaurants worldwide. Today, the Michelin Guide is the go-to source for anybody who’s serious about restaurants and chefs offering first-rate cooking. The highest Michelin rating that a restaurant can be rewarded is three stars, which indicates “exceptional cuisine” that is “worth a special journey.” A two-star rating denotes “excellent cooking” that is “worth a detour”, and one star implies a “very good restaurant in its category”. Although the evaluation process used to award stars remains a secret, certain factors definitely contribute to a restaurant’s likelihood of receiving a star. These include the quality of the products, the chef’s cooking techniques, and the consistency of excellence between inspectors’ visits. As a major cultural attraction, not to mention one of the most famous cities in the world, it makes sense that there are quite a collection of Michelin-starred restaurants in Barcelona. And since we have already presented our choices of Barcelona restaurants awarded with one Michelin star (for both local gastronomy and foreign/fusion cuisine), we proceed with the ones synonymous with outstanding cooking. 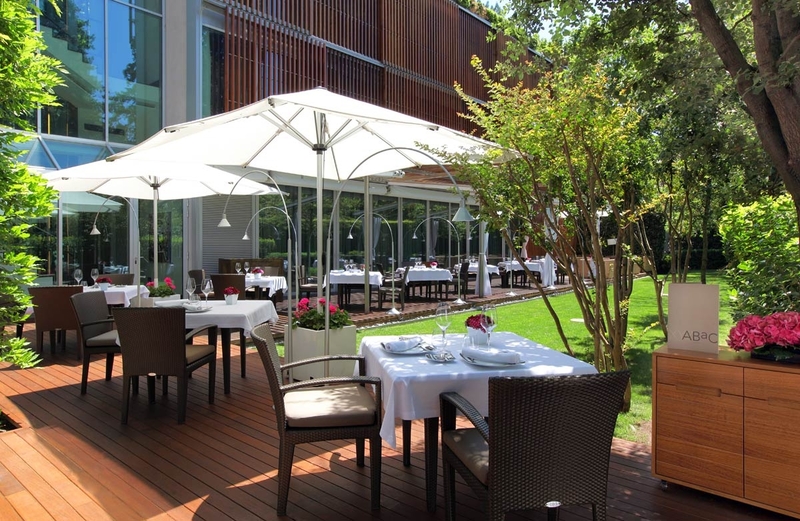 Nominated as ‘The Best Restaurant 2011 in Catalonia’ by the Catalan Academy of Gastronomy, ABaC is considered by many diners to be one of the finest establishments in Barcelona. Another distinction this prime eatery enjoys is the fact that its chef, Jordi Cruz, is the youngest in Spain to be awarded a Michelin star at age 26. Cruz also helped to secure ABaC its third Michelin star in 2018, a true testament to his innovation and culinary expertise. With its elegant, minimalist-like design, ABaC can seat up to 56 diners. In addition to a tasting menu, guests can also enjoy the restaurant’s new pavilion which links the graceful interiors with the garden. Located in the five-star Hotel Monument (on the iconic Paseo de Gracia, the city’s main shopping street), Lasarte has the prestigious reputation of being the first Michelin-starred restaurant in Barcelona to be awarded three stars.Enhancing its status is its esteemed team which includes chefs Martin Berasategui and Paolo Casagrande. With two rooms designed in the contemporary style, Lasarte offers guests some of Berasategui’s best signature dishes. With a passion for gastronomic greatness, the chefs work with the best offerings from nature, the sea and the seasons. The result is a menu that presents a rich variety of creative Catalan cuisine influenced by traditional Basque flavours. 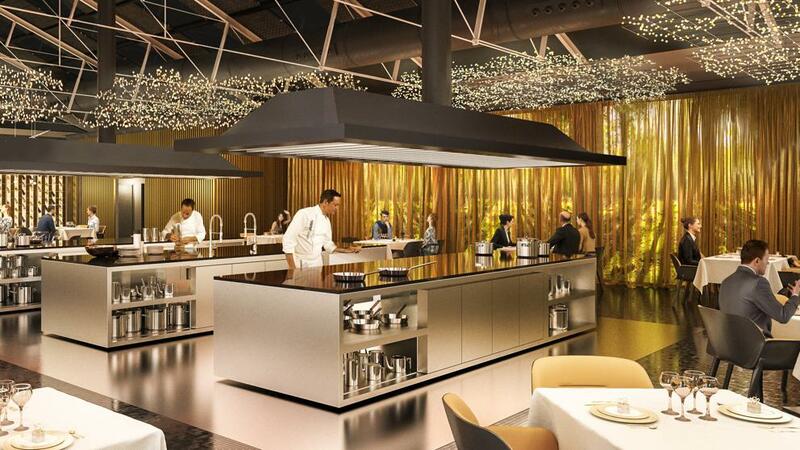 Twin chefs Javier and Sergio Torres secured their first Michelin star at Dos Cielos Restaurant in Meliá Barcelona Sky hotel in 2011, and their second in 2018. Cocina Hermanos Torres is their brand-new venture, which only opened in 2018. 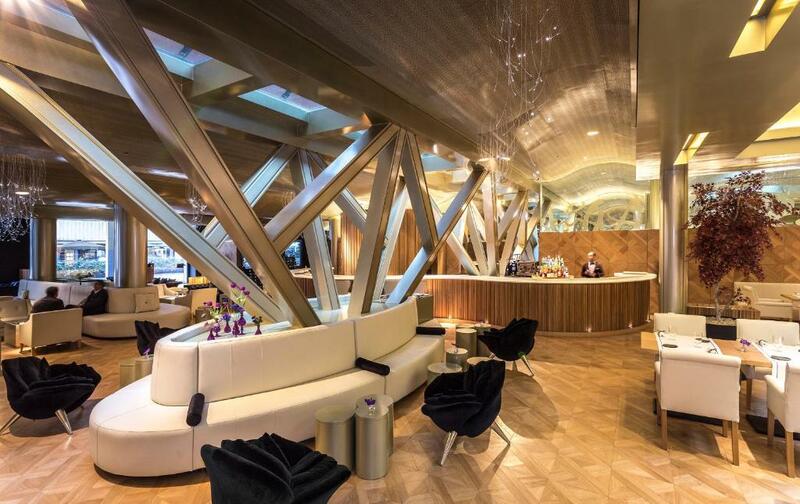 In addition to a sleek dining space (and experience), the restaurant also provides a bar and wine cellar / tasting area, ideal for apéritifs before the gastronomic experience and/or a coffee afterwards. Diners can also look forward to seeing the patisserie in action, which looks out onto the main space and takes care of all desserts and sweet treats. Due to Cocina Hermanos Torres’ superb reputation when it comes to Michelin-starred restaurants in Barcelona, reservations are vital. Chef Paco Perez adds another Michelin-starred creation to his name (along with Restaurant Miramar on the Costa Brava coast): Enoteca, located in the deluxe five-star Hotel Arts in Barcelona’s Port Olímpic area. Aimed at providing diners with contemporary Mediterranean dishes, Enoteca is known for blending current cuisine with traditional and innovative flavours. Thanks to its supreme location, Enoteca simultaneously provides a city setting while also incorporating a coastal ambience. This is thanks to the Mediterranean breeze and views of the Olímpic port which guests can enjoy on the terrace. Besides first-grade service and bright interiors, diners will also be awed by the display of 500+ international wines forming part of the décor. When three former head chefs combined their expertise, culinary portfolios and passions for cooking, the result was Disfrutar. 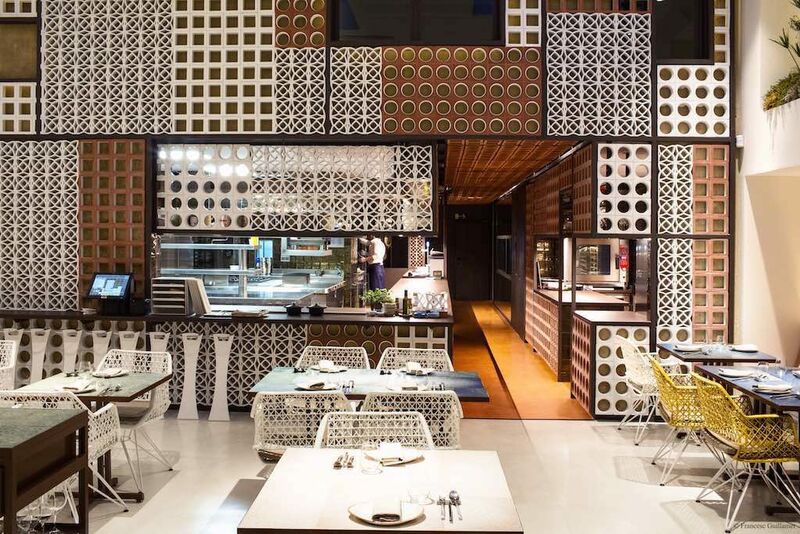 Chefs and owners Mateu Casañas, Oriol Castro and Eduard Xatruch have ensured Barcelona’s status as a celebrated culinary attraction continues with their joint venture. Translated as “enjoy” in English (the ideal word to describe the restaurant), Disfrutar is based in the city’s Eixample area close to the Mercado de El Ninot food market. Visitors can expect a modern-style establishment that offers high-class dining, exceptional service, and a Mediterranean-inspired menu catering to all palates. The Moments restaurant opened in 2010 in the luxurious Mandarin Hotel Barcelona and received its first Michelin star only one year later. Today, this two-star establishment is regarded as a must-visit for anybody serious about brilliant cuisine, undoubtedly thanks to chef duo Carme Ruscalleda and her son Raül Balam. Considered to be one of Spain’s finest chefs, Ruscalleda was awarded an outstanding seven Michelin stars for her restaurants in Spain and Tokyo in 2018. Her reputation continues to remain flawless at Moments, where she conjures up a creative and inspired menu featuring traditional and contemporary Catalan cuisine.